Update! 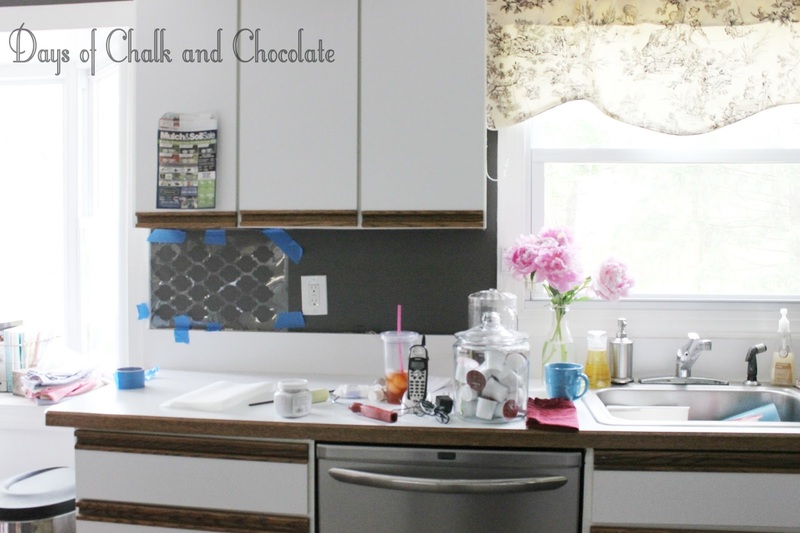 I painted my counter tops which you can see HERE! Whew! That's a long title for this post. But it's all true! Self-Adhesive Faux Tile Backsplash tiles are so easy to use. I was having issues in my kitchen because we are saving for a full remodel but it won't be happening in the next year, at the least. So I'm trying to find ways to live with what I have which is gnarly. But I came across a product in Home Depot and gave it a whirl. 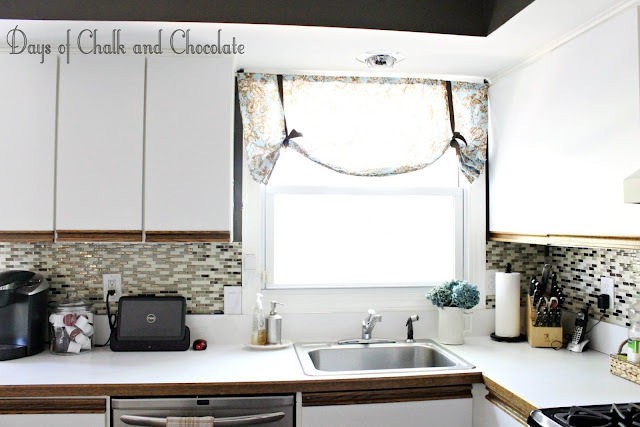 I installed a self-adhesive tile backsplash! 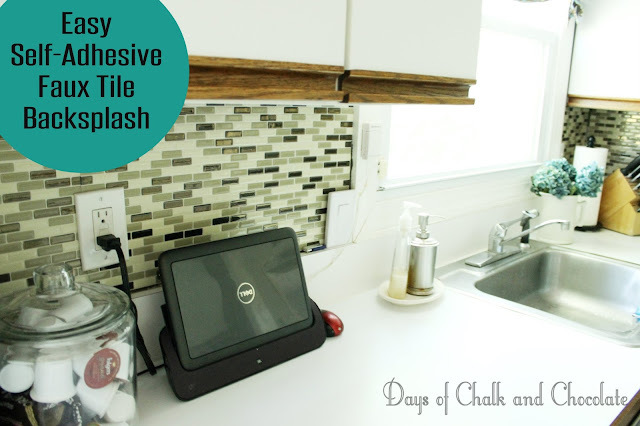 It was so easy and the results have fooled several of my neighbors into thinking I got a glass tile backsplash! This is NOT a sponsored post. This is simply my opinion of a product I used in my home. 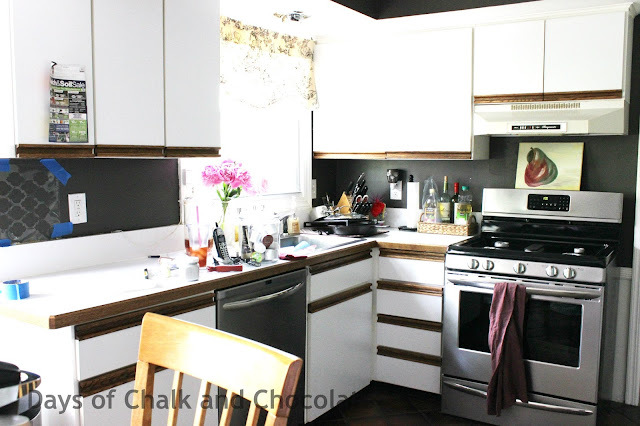 When we moved into this house the kitchen was a thorn in my side. It was full of wallpaper, crappy counters, and even crappier cabinets. But we are changing this little by little! First we steamed off the wallpaper and painted it a rich brown (Valspar Mink). You can read more about that here. stenciling did not work out, sadly. One day I was cruising through Home Depot and came across this product called Smart Tiles. 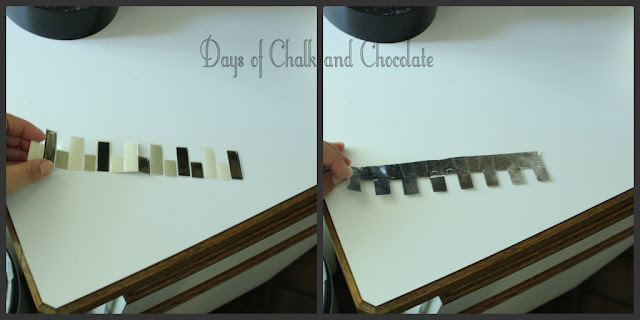 They are sheets of self-adhesive "tiles" that resemble the look of a glass tile. They are light weight, I guess they are made of plastic, and come in a variety of color and style options. I went with a beige and brown style to match the brown walls and floor. See how thin and lightweight? The sheets of tiles were easy to cut to customize them for my space. They suggest using a straight edged blade of some kind (like an Exacto knife) but I'll be honest. I just used scissors and cut carefully. Each sheet is made to interlock with another, too. If you can get them just right, it is seamless. The whole back splash as you see it took me about two hours to install. You can't mess it up. If you want to remove it the package says to use a heat gun or hair dryer to warm the adhesive and peel it off. That's perfect for me since eventually our kitchen redo will include a real tile back splash. But for now this is fine. More than 4 or 5 people have actually thought we had tiled. They had no clue it was fake! Thanks to everyone who has been leaving comments! I love getting to hear from you and respond back. 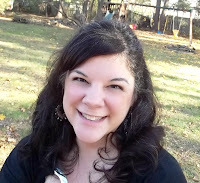 I also make sure to check out your blog if you have one! Thanks! Update! 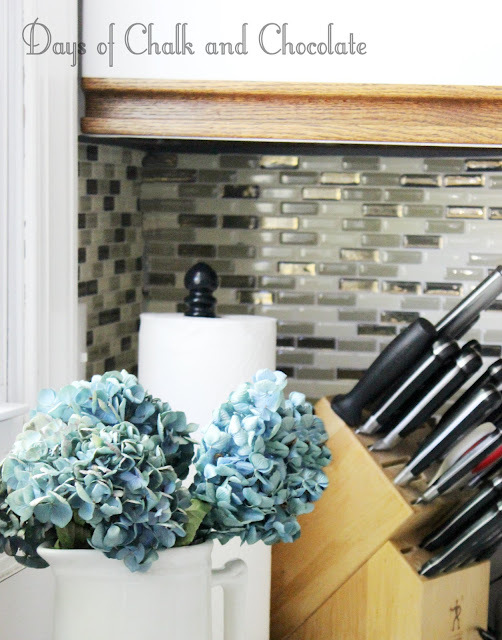 They added a bunch of styles including subway tile! Wish I had seem it when I did it! I don't think it was available or I would have done that! Although I am really happy with mine still. What a neat idea. I have never seen those in HD but I think I'm going to have to look for them next time I am there. It really upates your kitchen and looks great! Thanks Jennifer! I am glad they were so easy to put up! I really like that idea. I am always afraid to spend big $$ and then have it look dated... that is a great update... and can be changed later on. Wow, it really does look like tile. I'm trying to decide on a backsplash for our kitchen, so I'll definitely be looking into the Smart Tiles. Thanks for sharing!! Lovely! Do you think this tile would work on marble that is around the fireplace? It sounds like an easy fix that would not be permanent. Will have to check it out. Thanks for sharing! oh my gosh, that looks amazing! well done! What?? How did I not know this stuff existed? It looks amazing! I'll be featuring this on my blog tomorrow! Really nice! I found you through Handy Man Crafty Woman's Wicked Awesome Wednesday. I'll point out your post to my readers through our Facebook Group page. Wow, I love that! 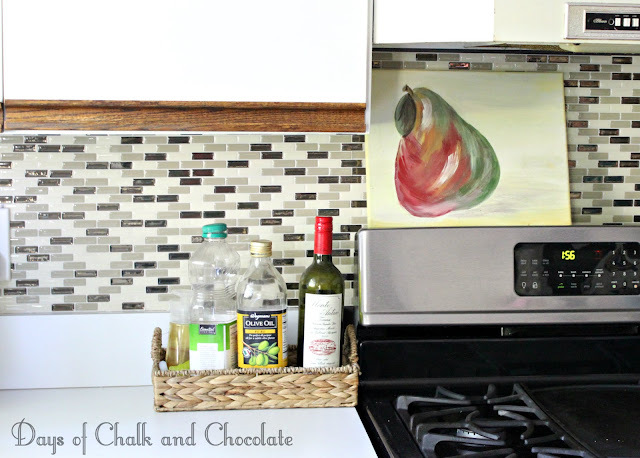 I have an awful tile backsplash but it would take too much work and money to remove it - I wish we could apply these over it!! For cabinets i bought beadboard wallpaper. Sooo easy to install totally changed the look of my cabinets super cheap too. Just paint a few coats over it and it's a huge change. This is such an awesome product. You totally can't tell that it isn't tile. Will have to take a look at this, but I'm wondering how it holds up when you have to wipe it down. Hi Erlene, the tiles will remain stable as long as you wish them to be. The adhesive is completely welded to the surface after 48 hours. Smart Tiles are resistant to the heat of stovetops and the humidity of bathrooms. I'm so excited about the hexigon ones and the faux marble! looks very good I may do my kitchen thanks for hint. Your kitchen looks beautiful! Not to be rude, and you don't have to answer of course, but we are on a really tight budget with three teens about to enter college. About how much did your kitchen cost to do? Thanks so much! I would say the stick on tiles cost me somewhere around $80 with extra sheets left over. I bought them in packages of 6 sheets and each sheet is about 10x10 inches. This is so cute! I wonder if they would work well for a rental... I might just be tempted to give it a try! Hello Betsy, the Smart Tiles are the perfect solution for a rental. You can remove easily the Smart Tiles. Visit this page for the info: www.thesmarttiles.com/en_us/inspiration/why-peel-and-stick-wall-tiles-are-best-option-for-rental/. Don't hesitate to contact us with question: 1-877-784-2733 or quinco@thesmarttiles.com. I've seen them and thought they were real. Top 20 Easy and Fun Toddler Activities!